▪ damage to the plaintiff as a result. If someone has interfered with your business relationship causing you damages, you may have a claim for money damages. Conversely, if you are being sued for this tort, you may be subject to liability for their damages. Under either scenario, you need an experienced business litigation attorney that is familiar with tortious interference claims. 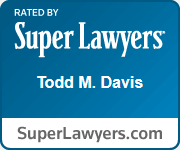 Call the Davis Law Firm today.